PEN ARGYL – Clean fill and regulated fill standards will be studied at an upcoming public hearing hosted by the Senate Majority Policy Committee on Monday, July 9, according to Chairman David G. Argall (R-Schuylkill/Berks). The hearing, which is being held at the request of Senator Mario Scavello (R-Monroe/Northampton), will review the concerns of local residents and officials about the state’s regulations for clean fill and regulated fill. The various classifications of fill are based on the level of contaminants of the materials. For example, clean fill is typically comprised of soil, rock, stone, dredged material, used asphalt and brick, block or concrete from construction and demolition sites. Northampton County’s numerous abandoned slate quarries are prime dumping grounds for fill by both in-state and out-of-state entities. The hearing will feature representatives from the Department of Environmental Protection, local elected officials, residents, business leaders and industry professionals. Representatives from the New Jersey Department of Environmental Protection and the New York State Department of Environmental Conservation have also been invited to testify. The hearing will start at 10 a.m. on Monday, July 9 at Wind Gap Middle School, 1620 Teels Road, Pen Argyl, PA. The public is invited to attend. More information about the upcoming public hearing can be found at policy.pasenategop.com or SenatorScavello.com. 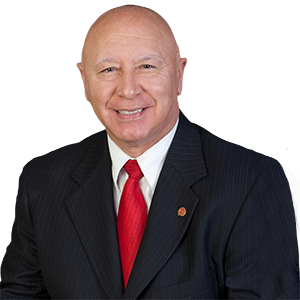 Listen to Senator Scavello discuss the upcoming public hearing here.